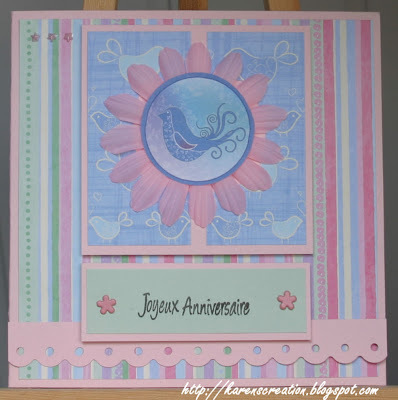 I've hit 2 challenges with this card: The sketch 54 from french blog 'Carterie de Sandrine Vachon' and this week's colours of pistachio, aqua and powder pink from 'Colour Create Challenge'. Used: Gems, brads and 'Sweet Nothings' papers by PaperMania; bird from 'Making Cards' magazine, flower - Imaginisce; Fiskars punch. Voici ma carte pour le sketch de Sandrine Vachon de cette semaine (sketch 54). Et en plus, cette semaine chez ‘Color Create Challenge‘ elles nous demandent réaliser une carte avec les couleurs pistache, bleu clair et rose. Alors, les deux challenges ! J'ai utilisé les petits pierres, attaches parisiennes et des papiers 'Sweet Nothings' de PaperMania; l'oiseau du magazine 'Making Cards'; perforatrice de Fiskars; tampon de La Compagnie des Elfes; fleur de Imaginisce. 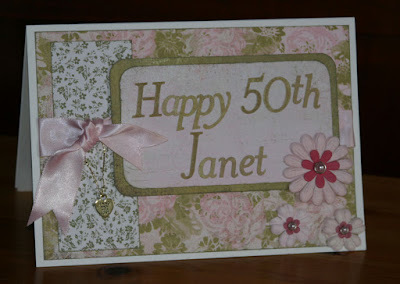 Here's a card using the Friday Sketchers layout by Beatrice. It's a great sketch and one I think I will revisit. It's quite simple so suits me well! Having said that, I often prefer to leave cards without a sentiment and haven't included one here. 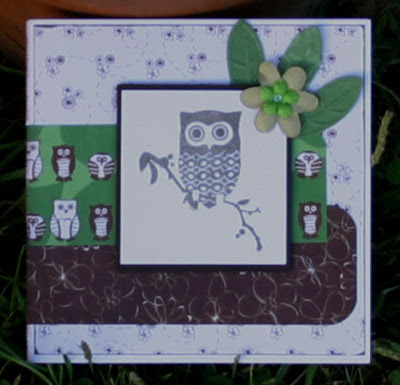 I have used the owl from the Inkadinkado 'Birds Galore' pack with ColorBox chalk ink, layered on Bazill card; PaperMania 'Secret Garden' papers; Cuttlebug 'Spring Leaf' dies; Making Memories and Prima flowers. It doesn't show in the photo but I've also used a transparent Sakura Glaze pen on the eyes, white dots of the owl's body and it's feet to give it a bit more 'pop'. 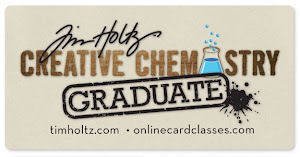 Thanks for the kind words of support: I am feeling a lot better now so I managed another card today! It's trying to catch up with everything that is difficult now but I'm getting there and I have a craft fair Sunday and lots of card requests so I need to get back in action! This card follows Michelle's great sketch on A Spoon Full of Sugar challenge 56. The stamp, from PaperMania Party Chic by Claire Curd, is a bit big for the sketch however so I'm missing a layer somewhere. I paper-pieced the shirt and trousers and used water-colour pencils for the other parts, highlighting buttons, dog collar, etc with Sakura Stardust and the shoes with Sakura Glaze, and adding punched flowers and PaperMania gems. Papers are DCWV Flower Prints stack and bits from stash with Prima flowers. Sentiment stamp for La Compagnie des Elves. After being ill, having my step-daughter, her husband and the baby - so cute!- to stay for a few days, then being ill again, then losing the internet for a day and a half (!) I finally get to post something ! I made this on Tuesday for my Sister-in-law using the Friday Sketchers layout and just used the text in place of an image. Supplies: Basic Grey 'Sugared' set for the roses background, plain sheets and alphabet and the other paper is from PaperMania Jesse Edwards collection; Inked edges with Versa-Magic Spanish Olive; Prima flowers with PM pearly brads; ribbon and charm from stash. Voici une carte pour ma belle soeur selon le sketch de "Friday Sketchers" blog. J'ai utilisé des papiers de Basic Grey 'Sugared' et PaperMania Jesse Edwards; encre Versa-Magic 'Spanish Olive'; des fleurs de Prima; attaches parisiennes de PaperMania et quelque morceaux de ruban. Nikki (Bunny Zoe's) - I've been a regular visitor of Nikki's blog for a long time - Great cards and more. And Nikki has just passed 100000 hits and opened an etsy shop!